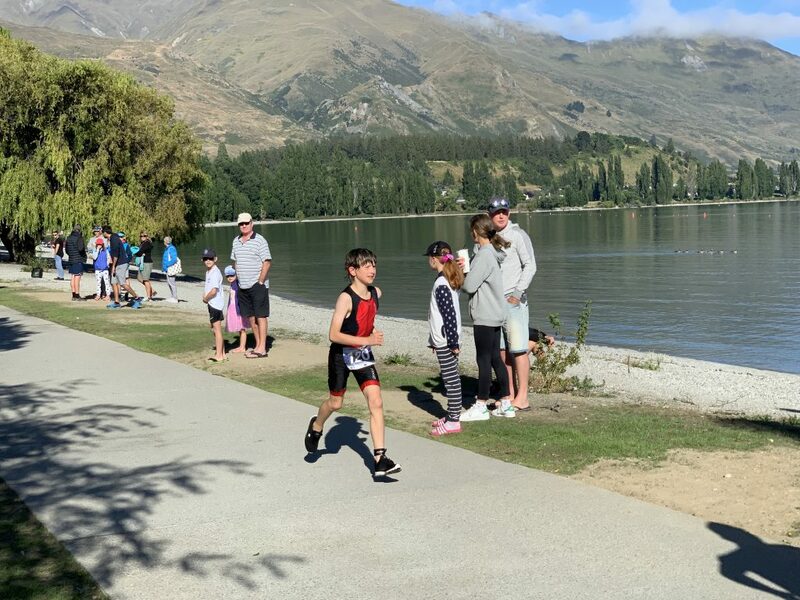 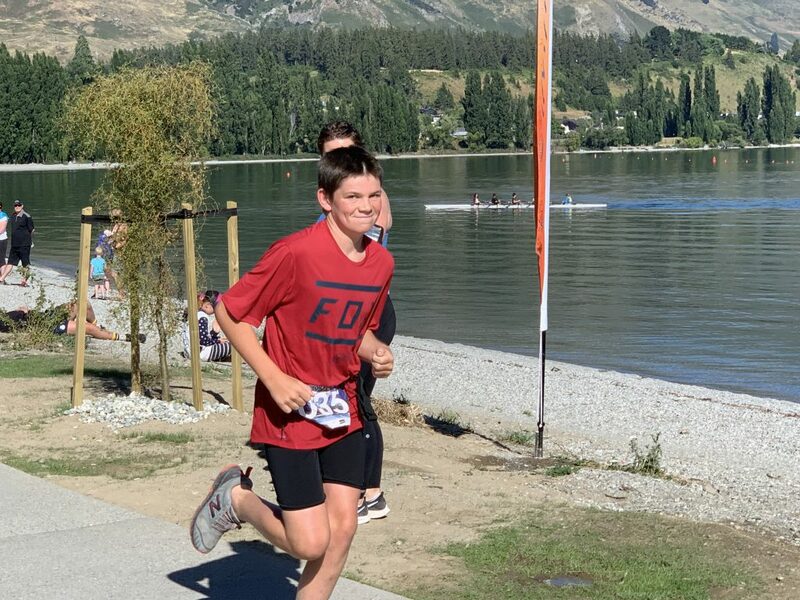 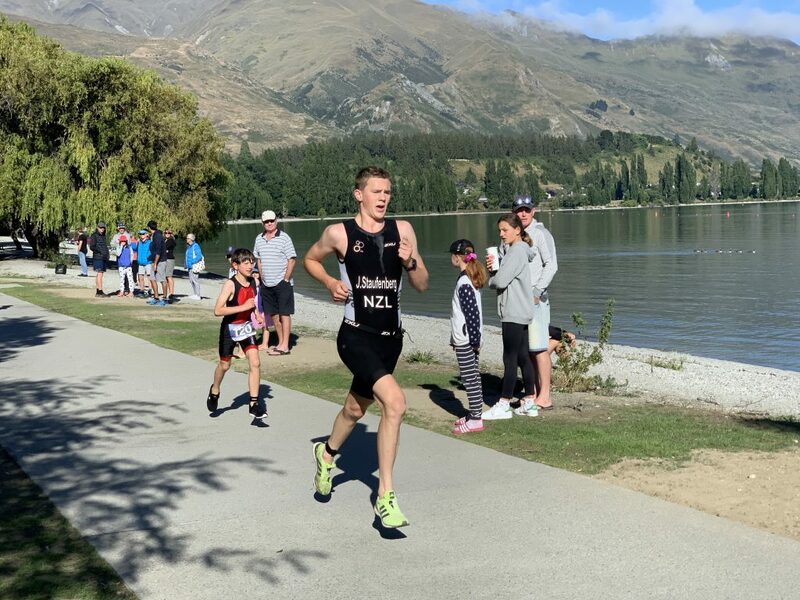 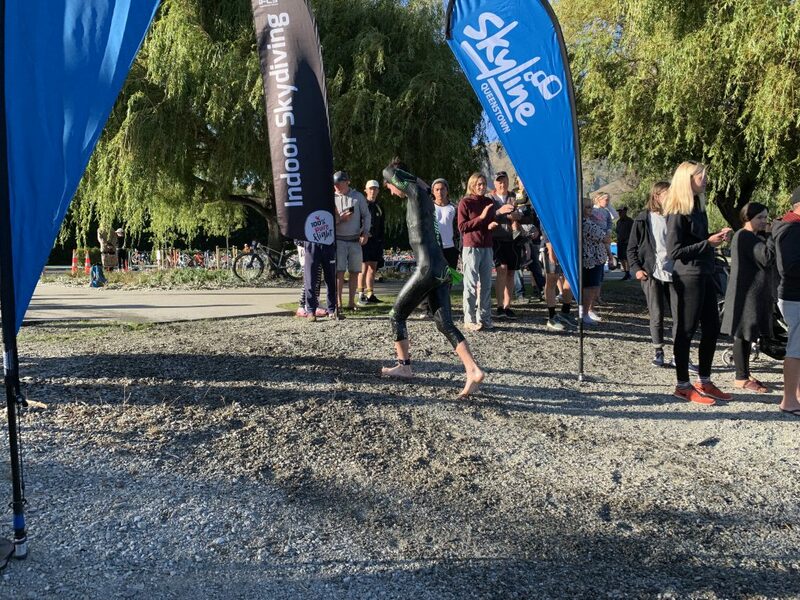 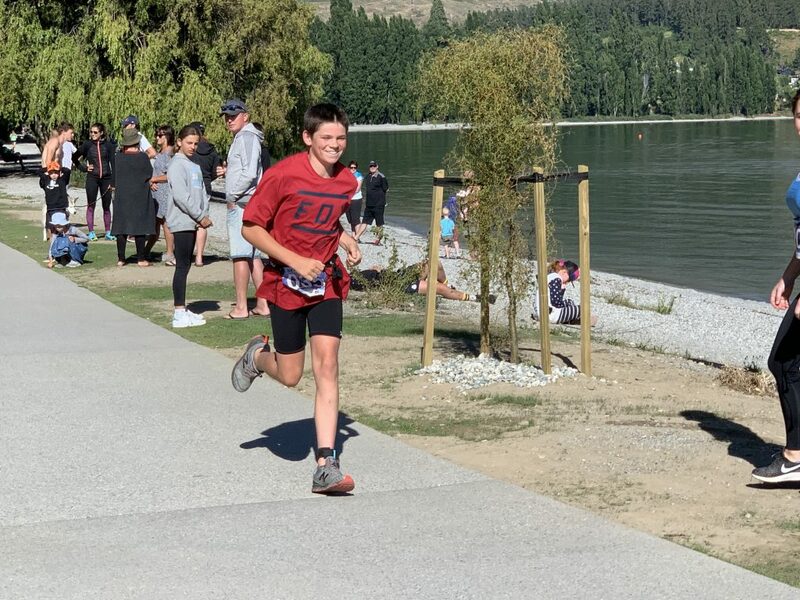 With representatives in the Sprint Triathlon and the Junior Sprint, and everyone competing as individuals, this was set to be a stunning event. 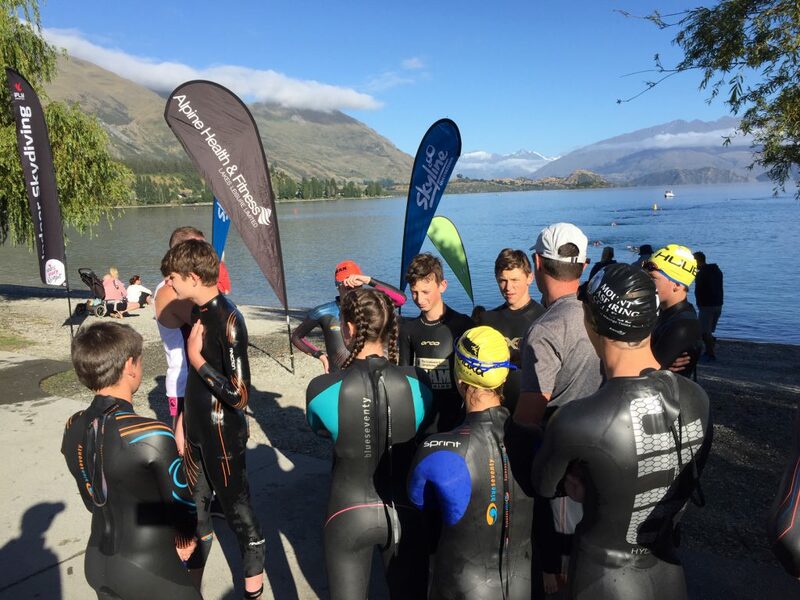 The team did not disappoint, arriving well prepared and clear headed. 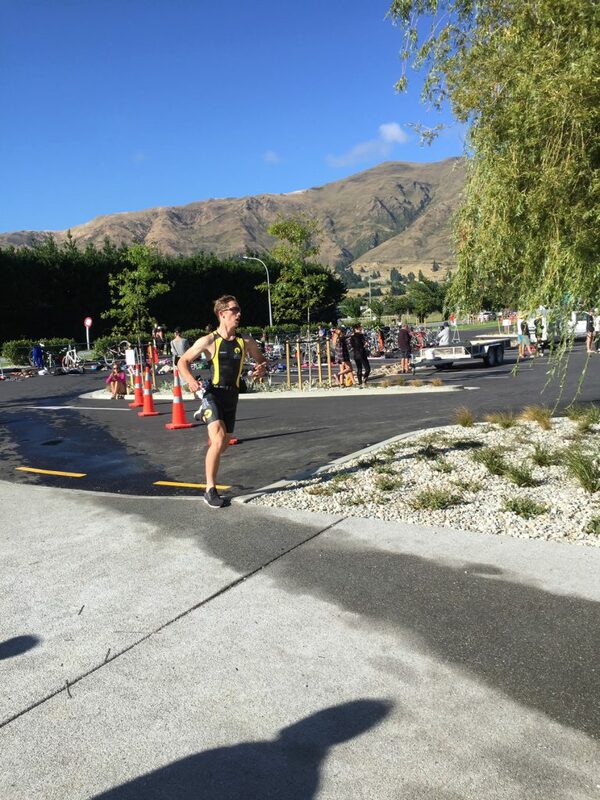 First to start was Laurie (and the Staufenberg lads) who were all competing in the Sprint Triathlon. 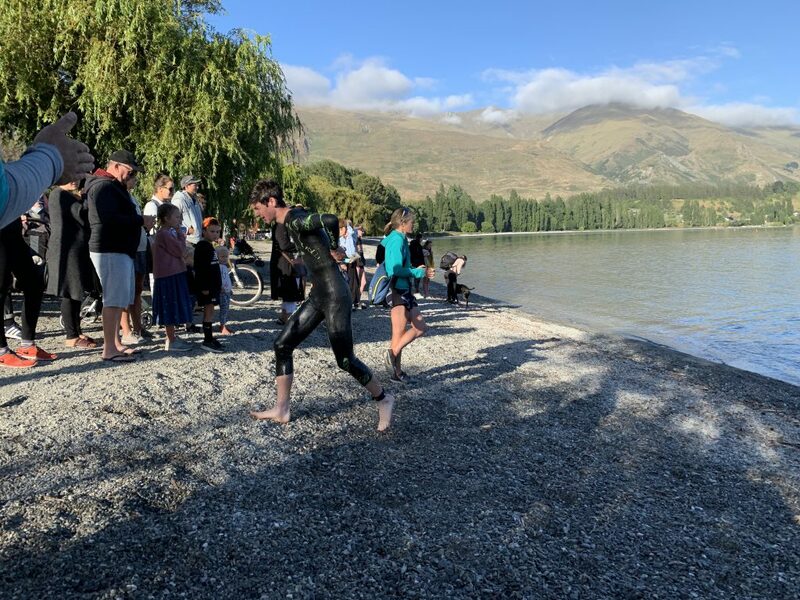 As the photos demonstrate, the water was crystalline: the pace was going to be fast. 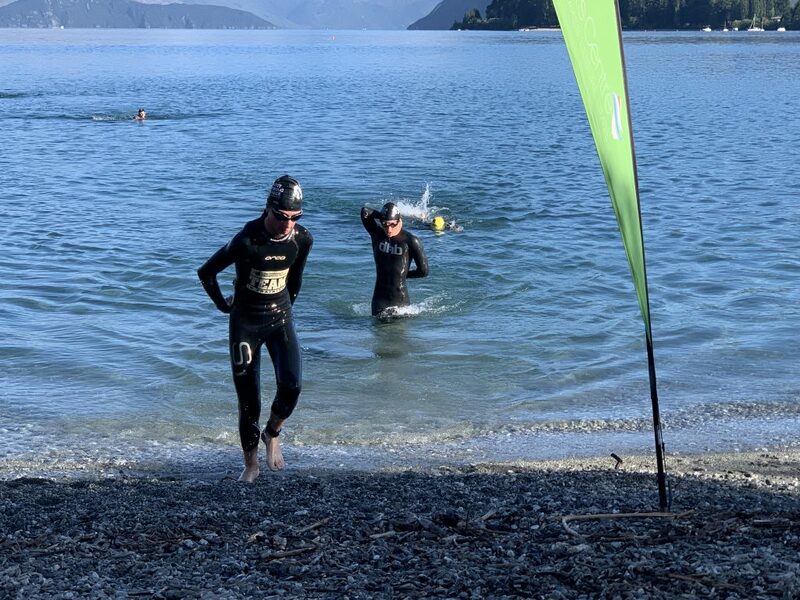 The Staufenbergs were first out of the water and Laurie came out soon after, looking strong. 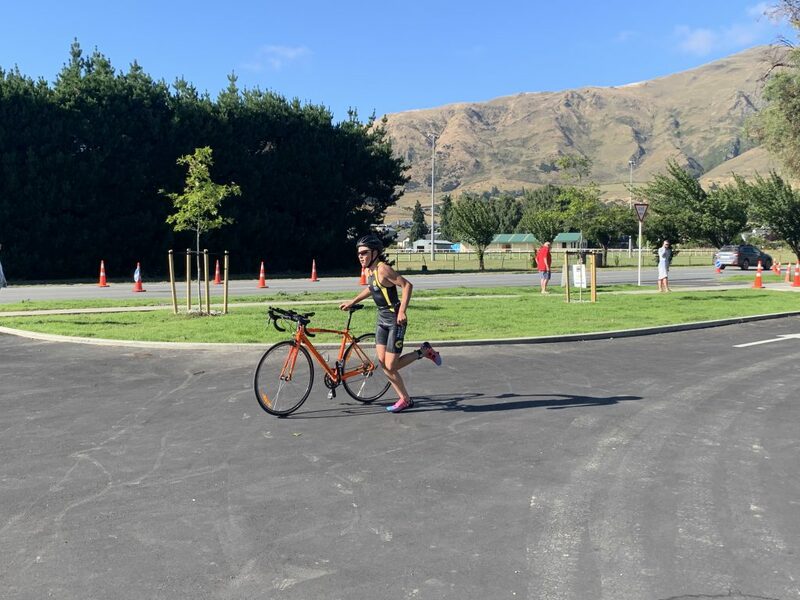 A quick transition to the bike saw him out towards Treble Cone in the bright morning sun. 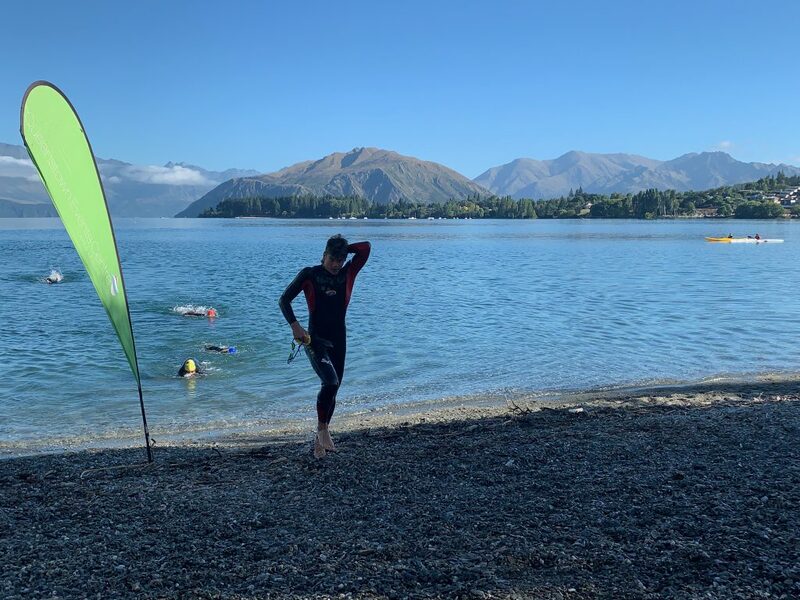 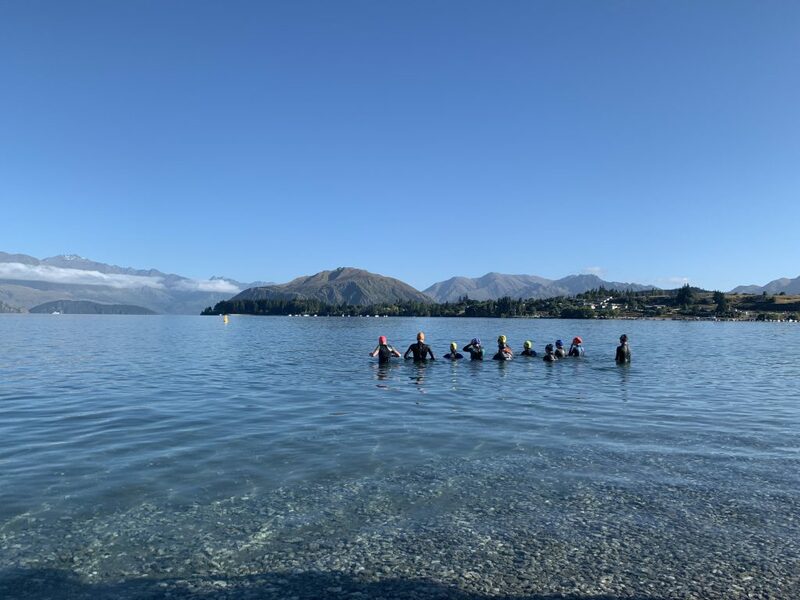 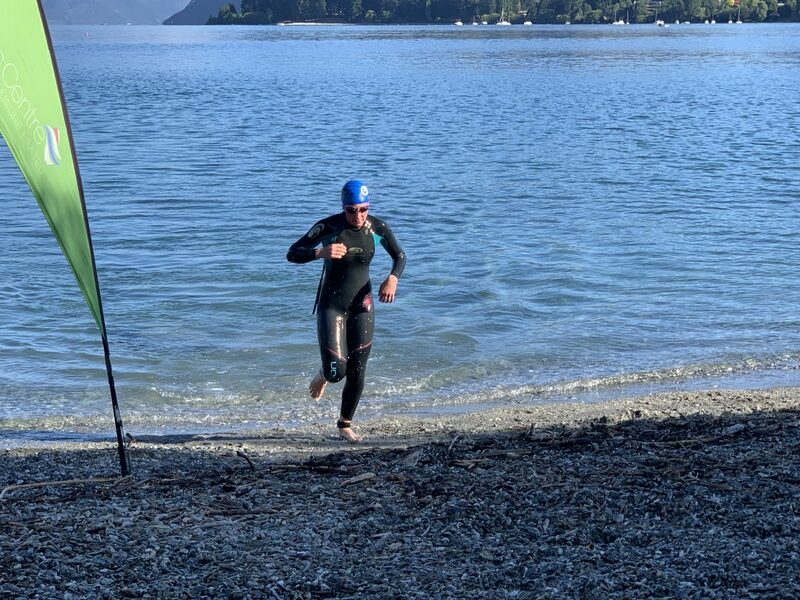 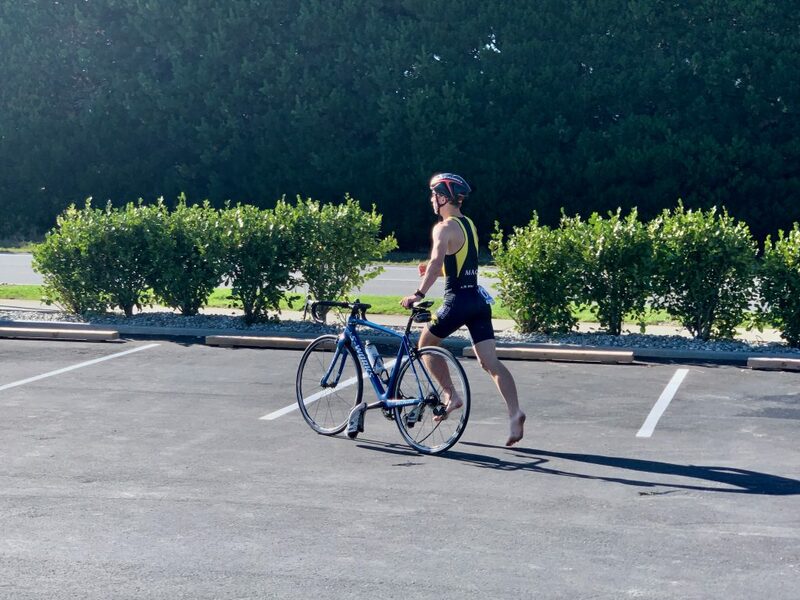 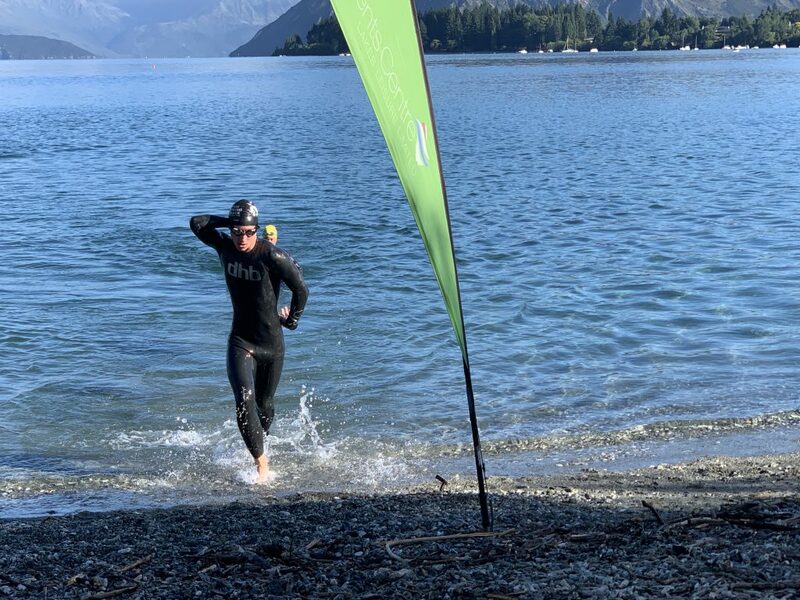 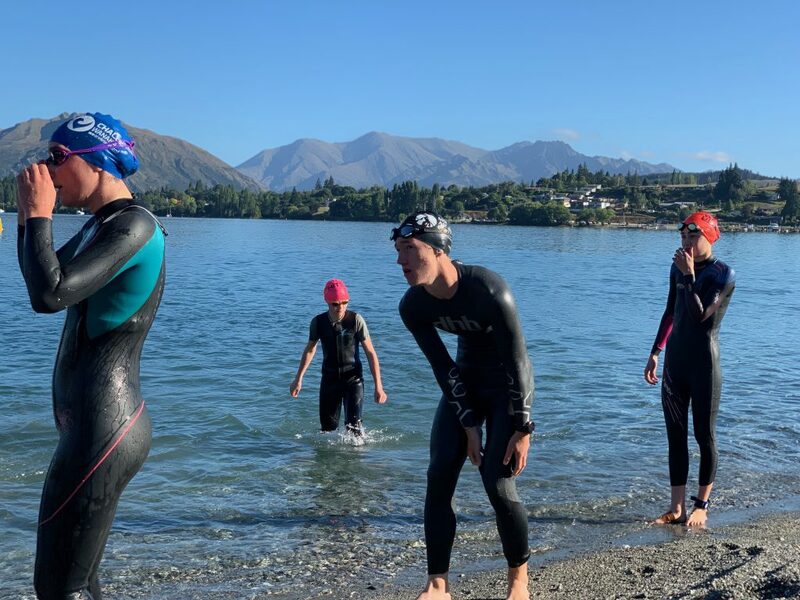 While Laurie was leading the way, the rest of the team took the time to warm up in the lake, and size up the competition in their smaller event. 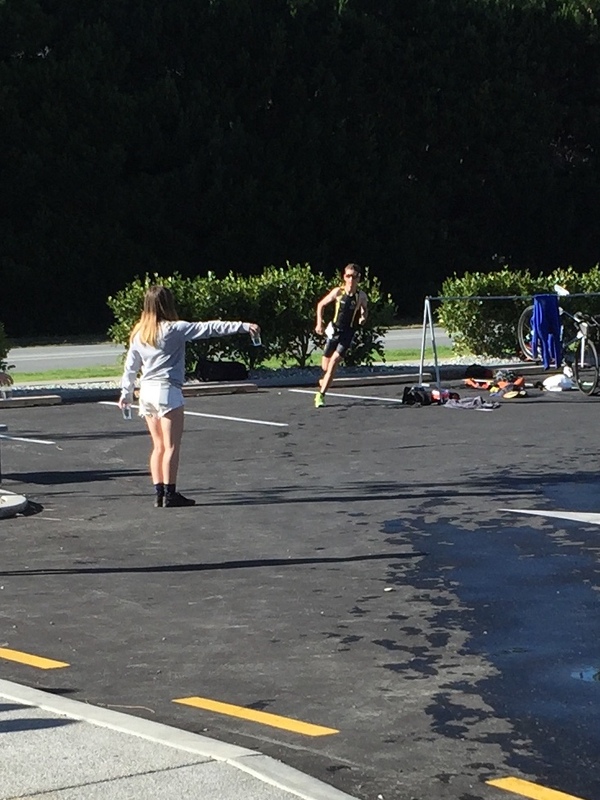 After a small informal briefing, they were off. 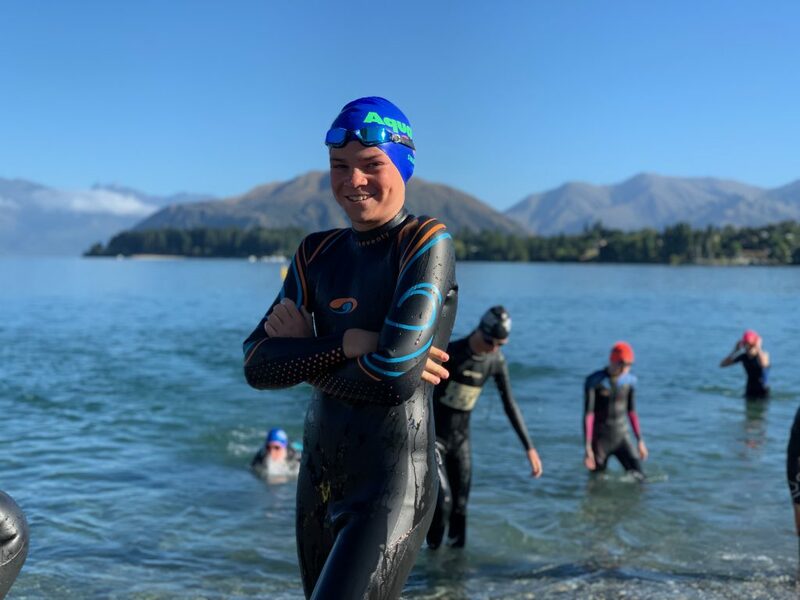 Zach showed his ability to act decisively under pressure when the lead swimmer who he was just behind headed off in the wrong direction. 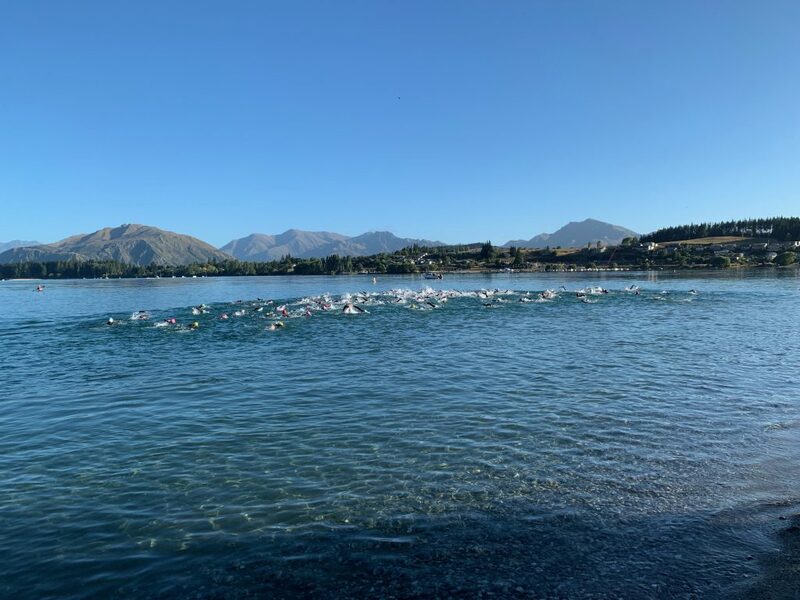 He set a direct course back to the exit point and everyone followed, all coming out of the swim looking determined for the next step. 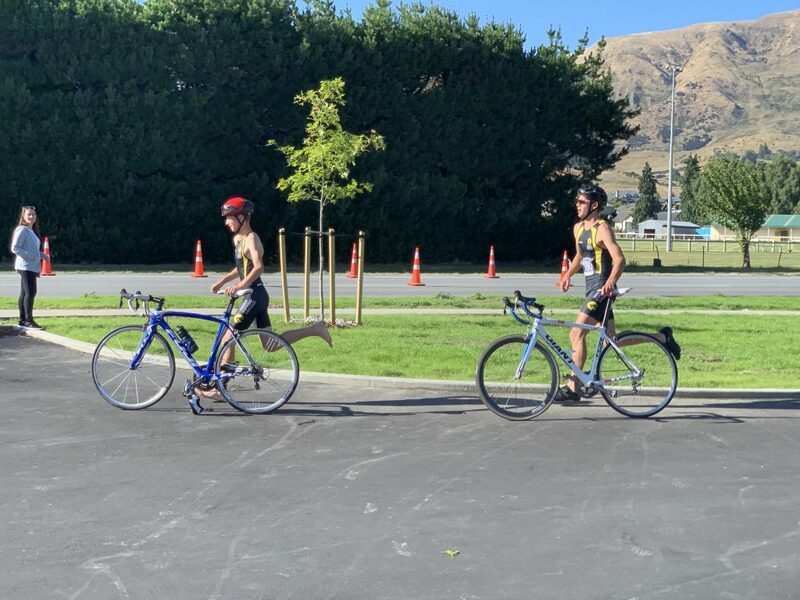 Excellent transitions lead to everyone being quickly out on the ride, and by all accounts some drafting teams formed – with Oliver perhaps taking a little too much advantage of Piper’s strength on the bike. 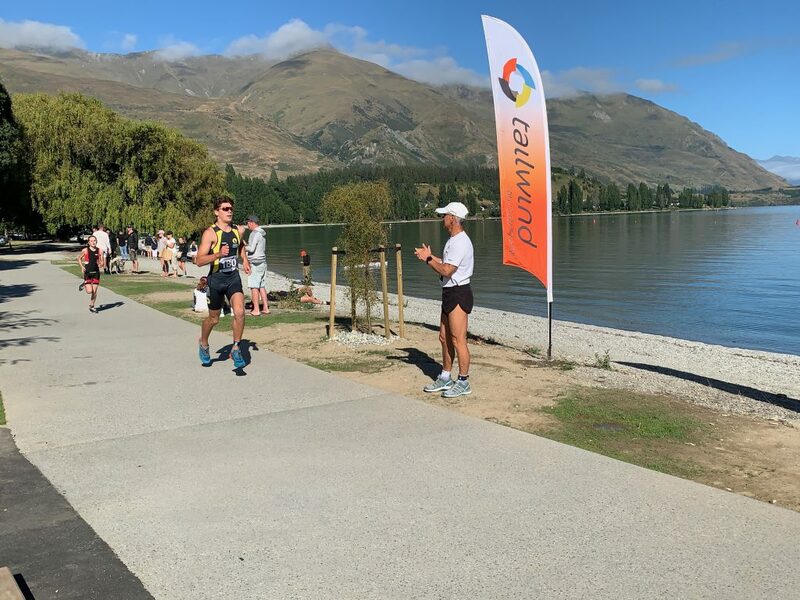 Laurie had a nightmare T2 transition with the disintegration of his running shoe inners at just the wrong moment, but once that technical matter was addressed, he was off. 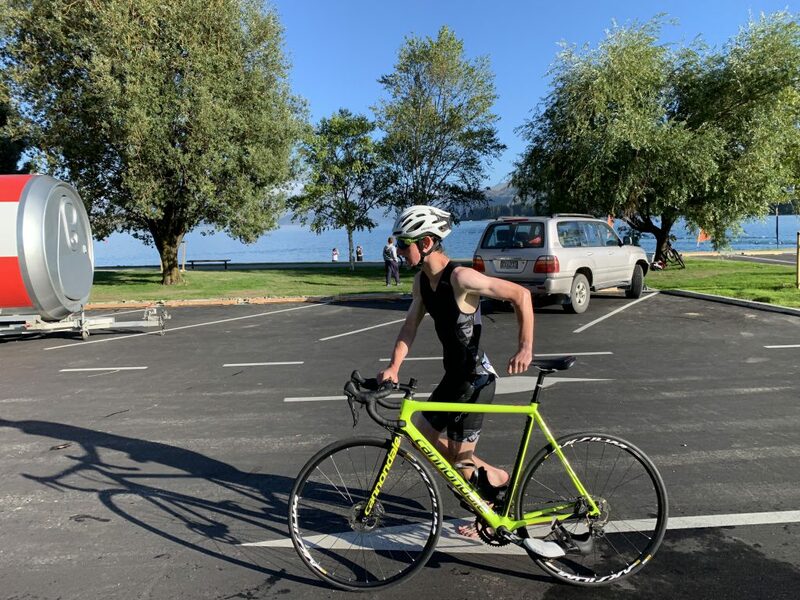 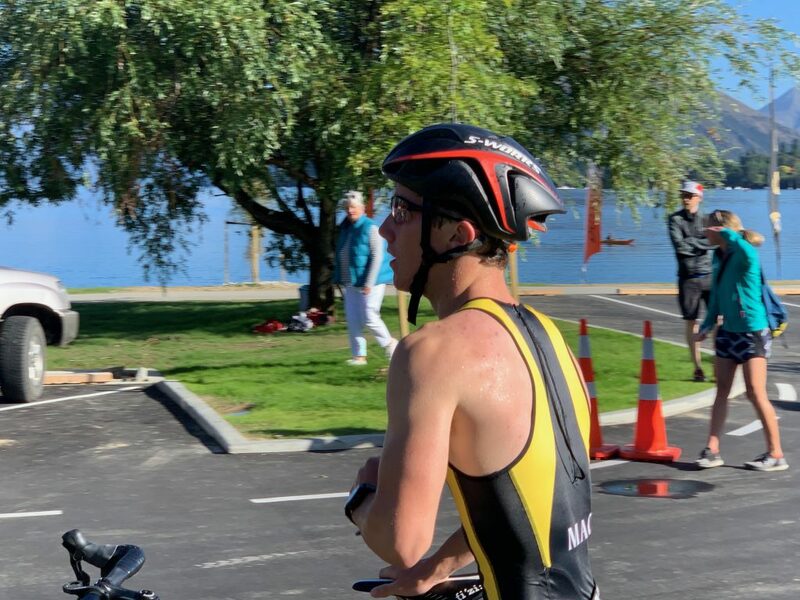 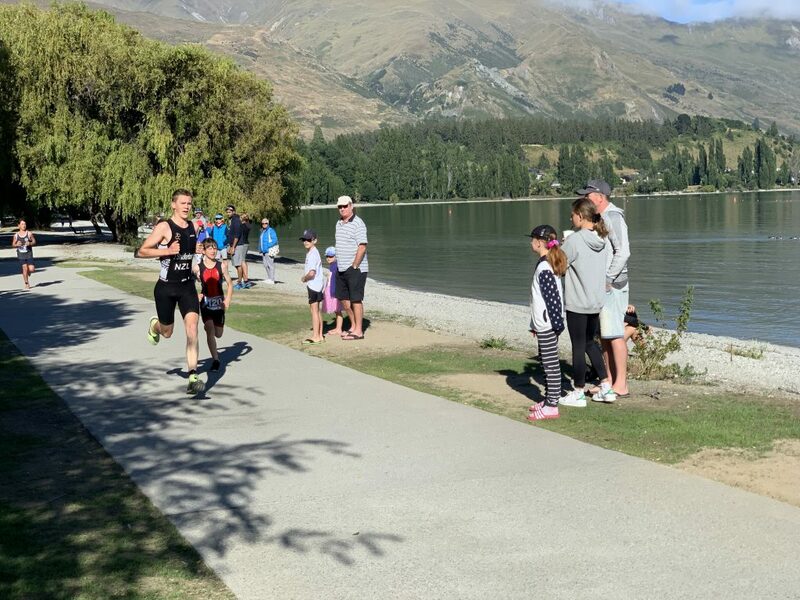 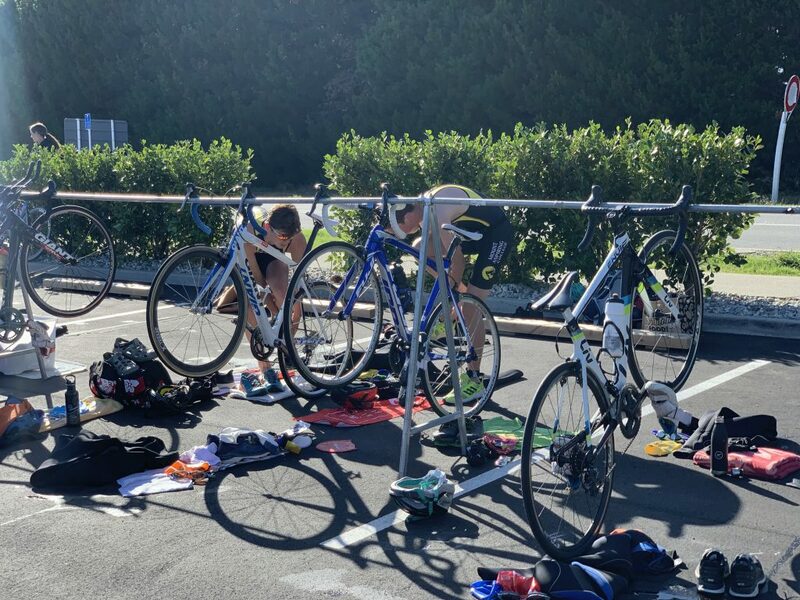 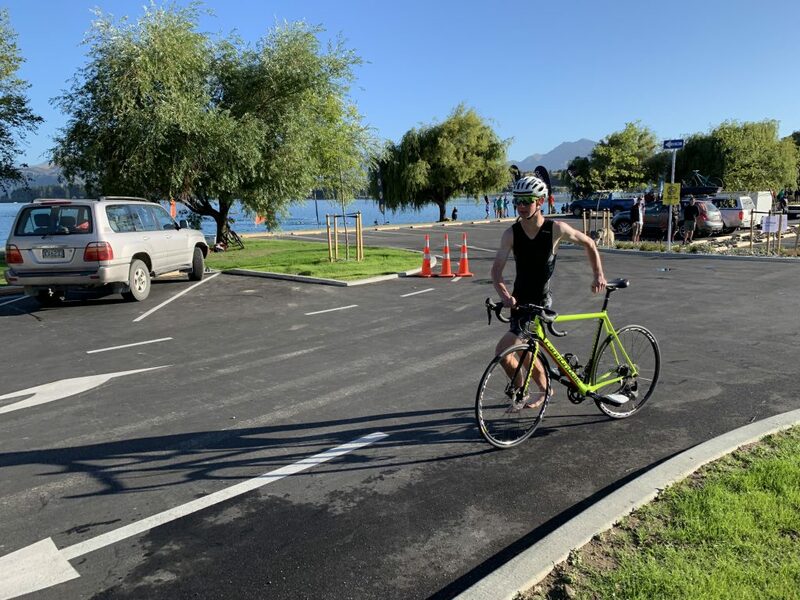 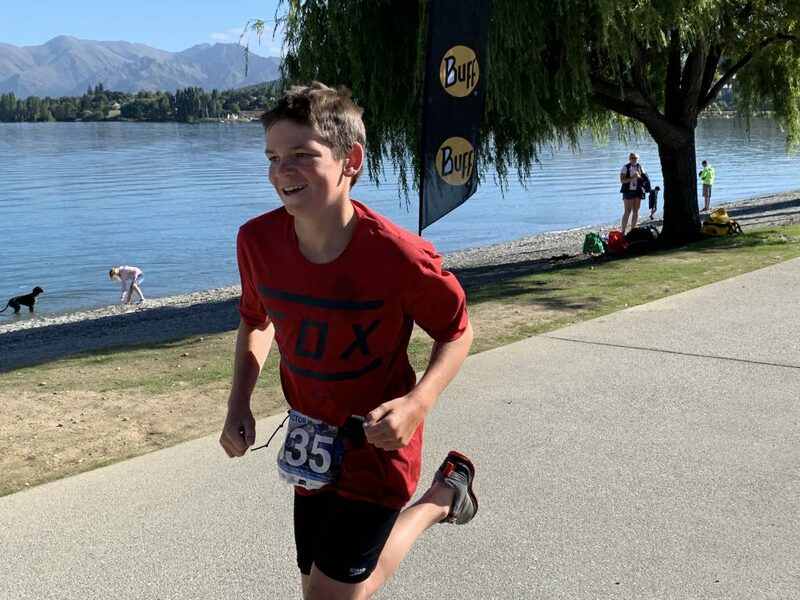 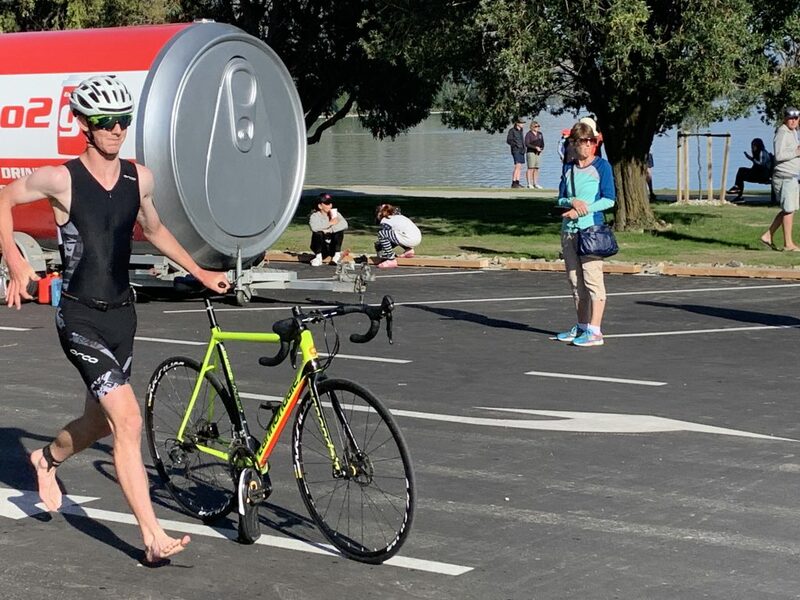 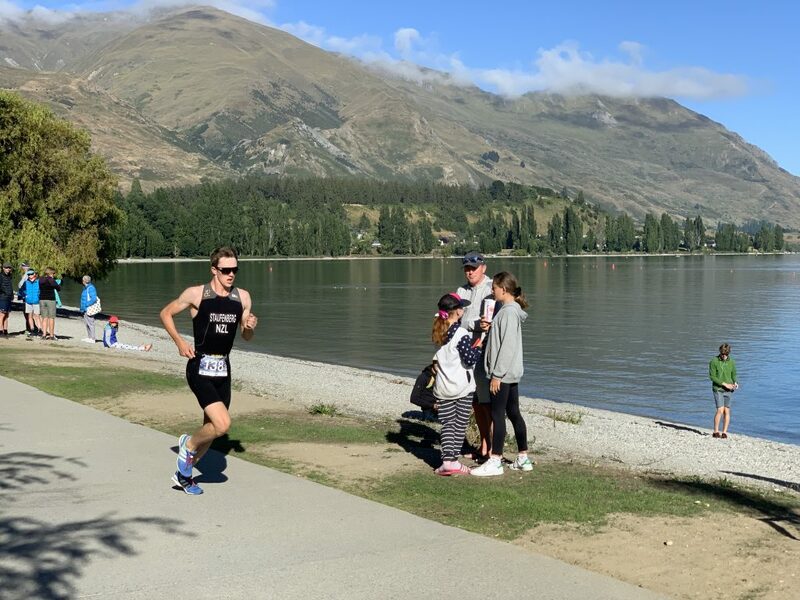 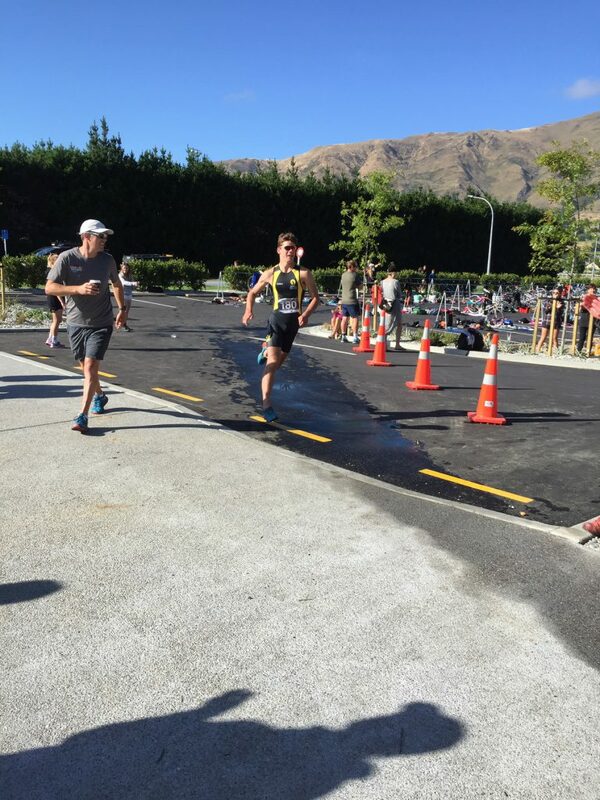 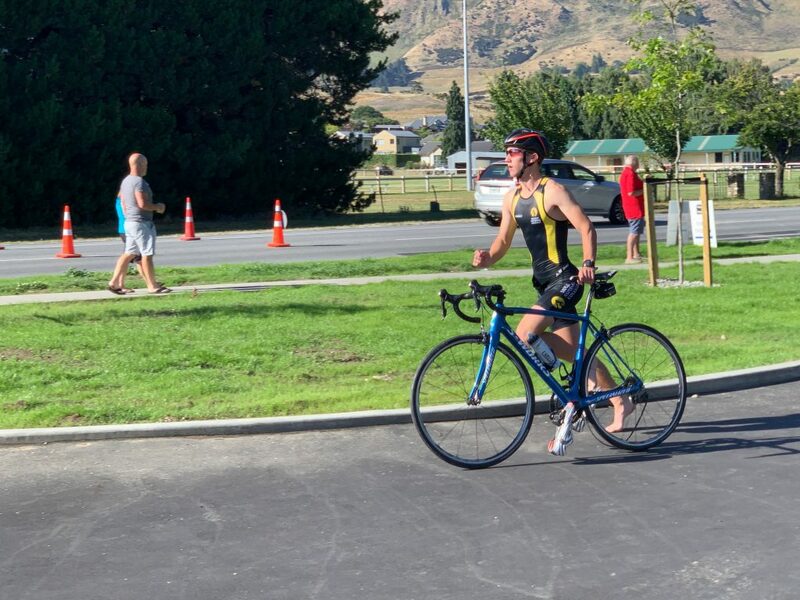 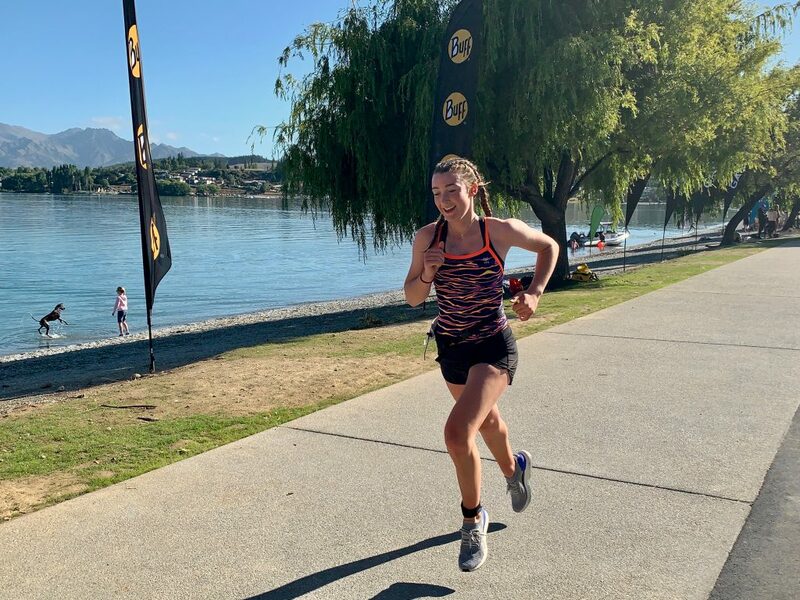 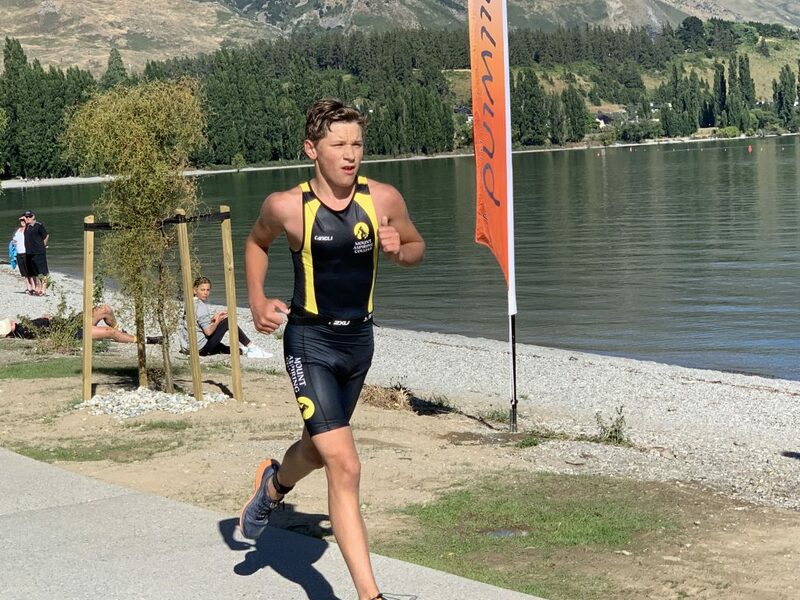 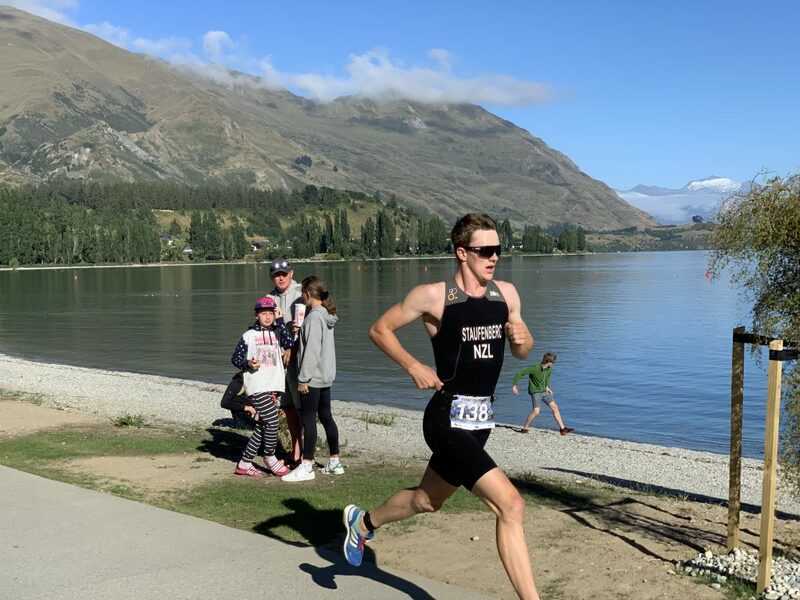 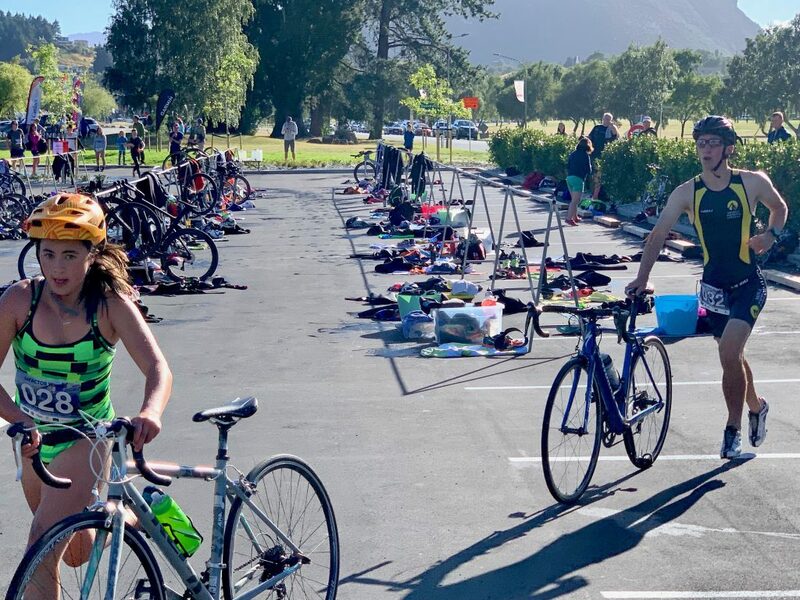 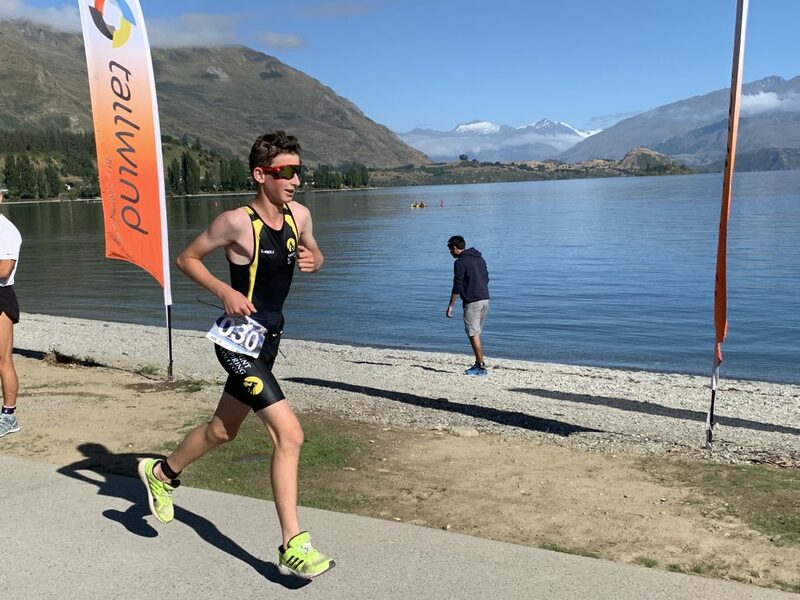 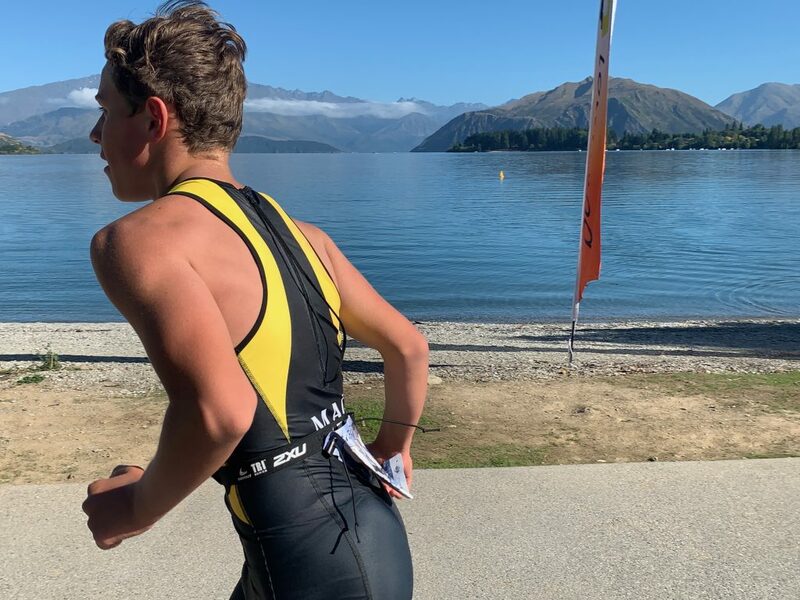 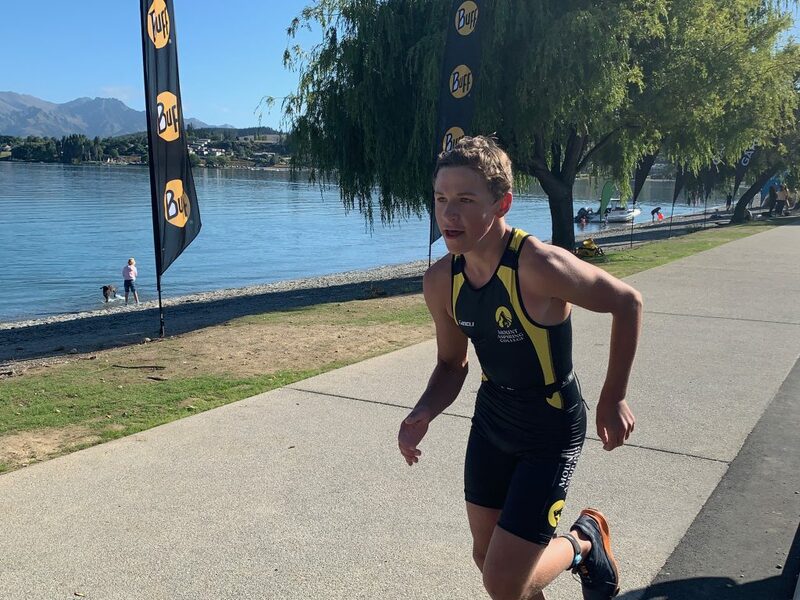 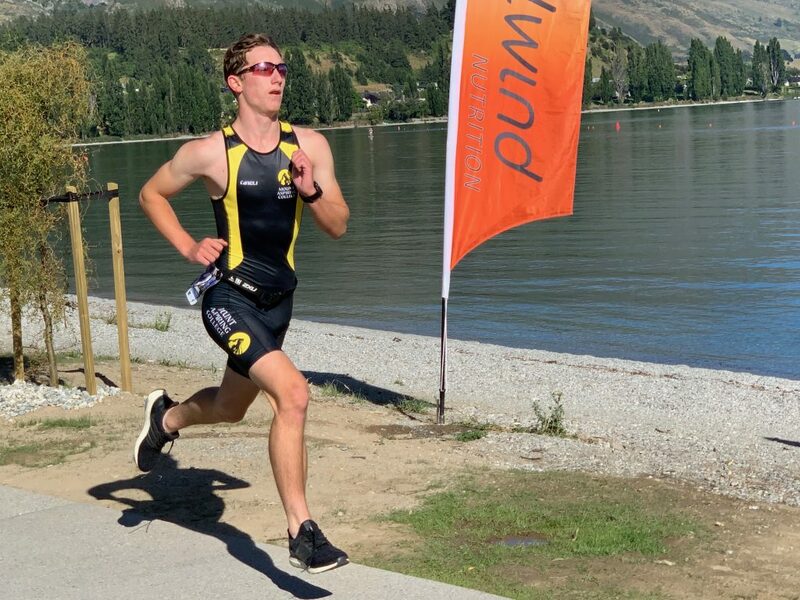 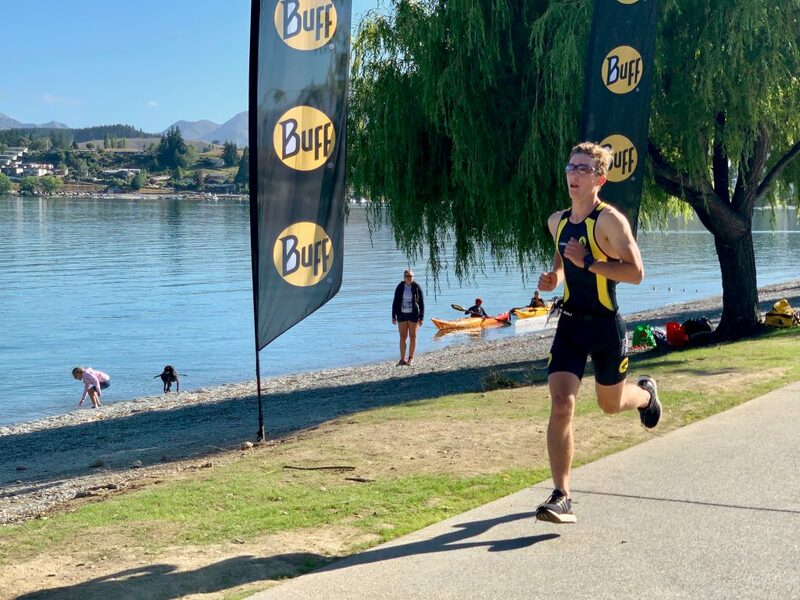 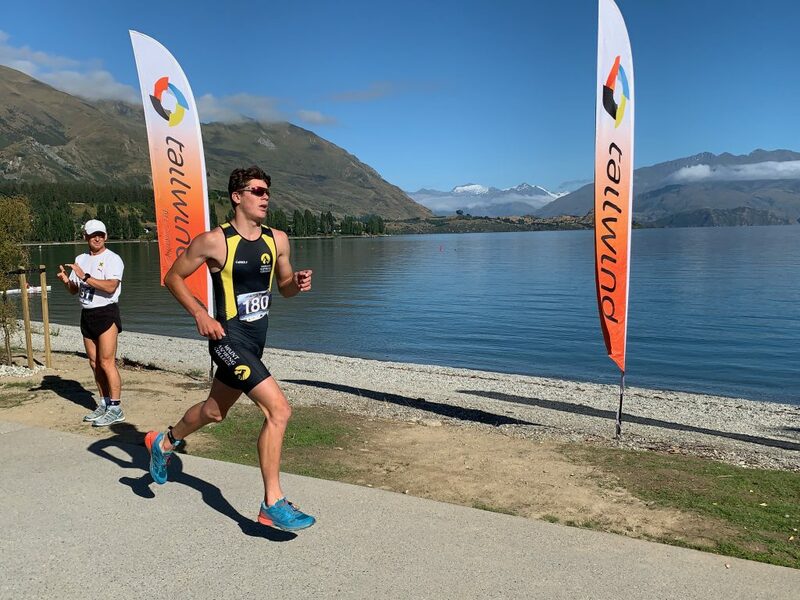 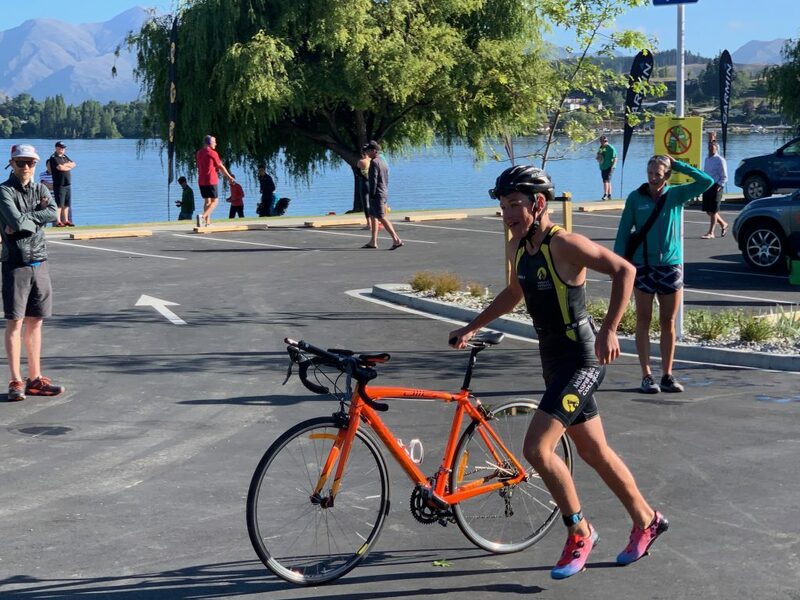 The Staufenbergs finished the sprint triathlon in 1st, 2nd and 3rd places – in accordance with their order of conception – with Laurie completing this open event in a very creditable 8th. 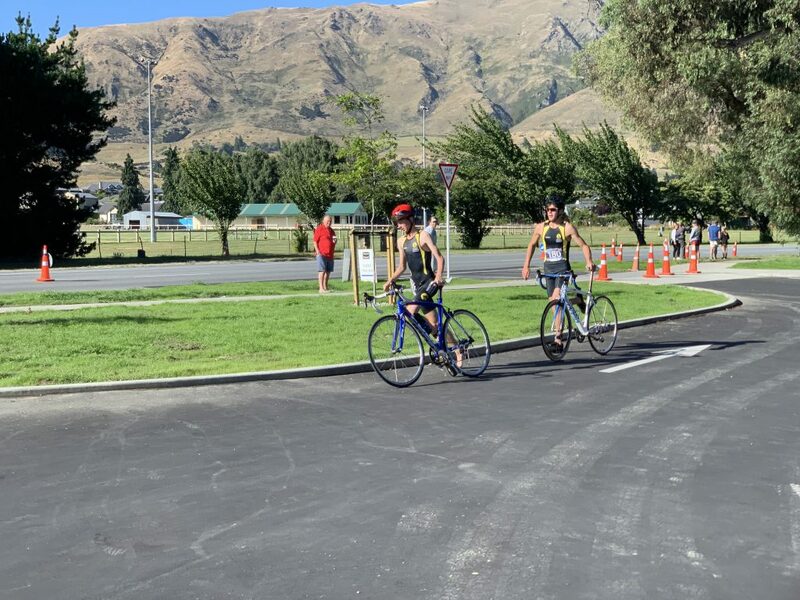 Zach finished 1st in the Junior Sprint, with Mackay in 3rd, Jack in 5th, Piper in 7th (2nd female), followed closely by Oliver in 8th and Cooper (who had completed the whole bike leg on a fully kitted downhill mountain bike) came in 9th. 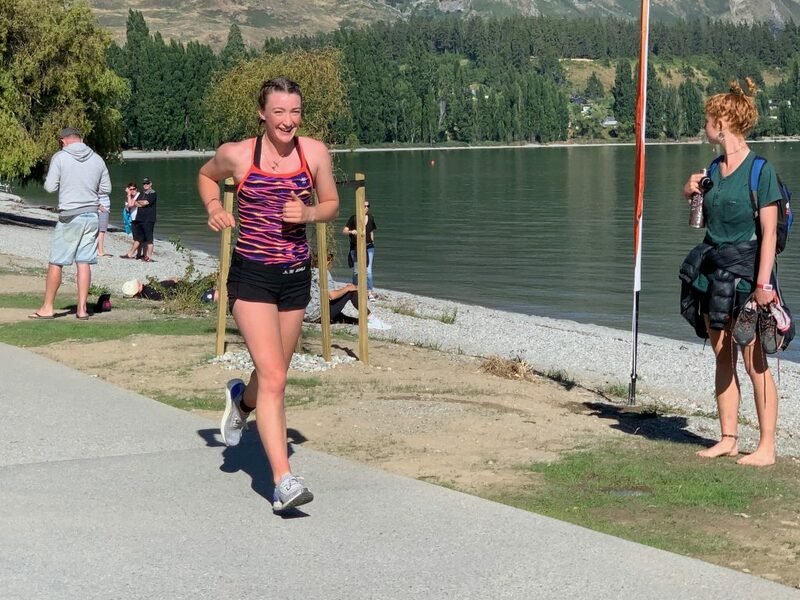 Thanks to Merryn for your advice and support in the lead-up to this event – to Michelle for being part of the media team and everyone’s families for making all this possible week in, week out. 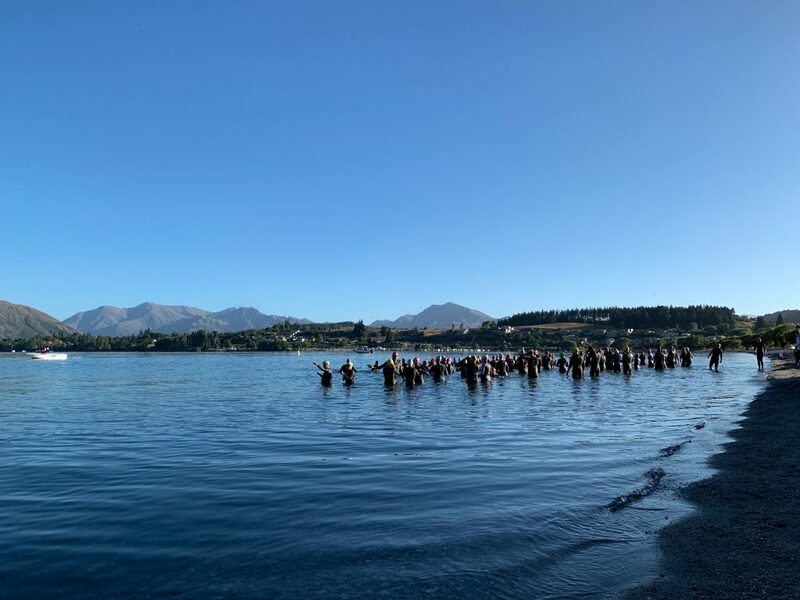 We look forward to seeing the whole crew out in our pre-term training over the next couple of weeks.